Sewell has been obsessed with service since 1911. Building relationships, not selling cars and trucks, is our first priority, and it has been for more than a century. "Customers for Life" - that is our aim. Generations of customers have bought their vehicles from our dealerships. The secret is in how we treat others, and each other. Sewell is still the family-owned business it always has been. You never get the feeling that "it's just business"; a sense of family and the importance of long-term relationships always come through. We like to say we are a world-class service organization that just happens to sell cars. Think of the world's most respected hotel brands; think of luxury department stores at their holiday-season best, or of a top financial advisory practice entrusted with a family's well-being. Those are the standards by which we judge our service. We invite you to compare our service with the very best you have ever received, anywhere. Let us know how we are doing. 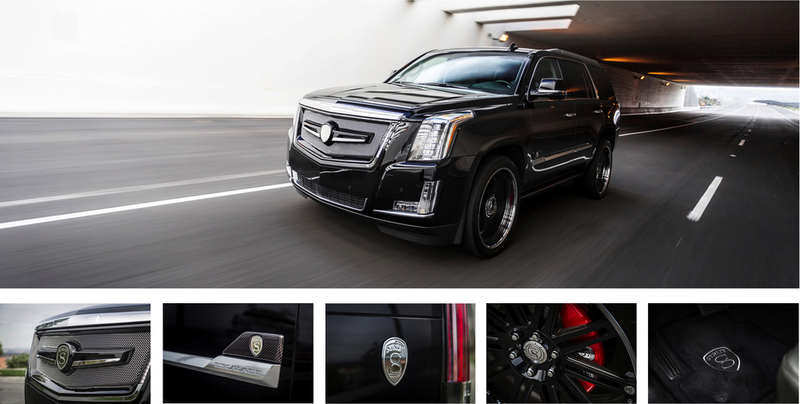 Sewell Cadillac features a STRUT Escalade demonstrator vehicle on its showroom floor and offers the "STRUT VIP Service" to personalize each vehicle to suit the client's needs. would you like the strut VIP treatment? Please fill in your details below and we will personally valet a VIP appointment with Sewell Cadillac to discuss your bespoke STRUT Escalade Collection. If you have spoken with a dealership, which one was it and who was the sales person? Thank you, someone will be contacting you shortly!